A picture of a little girl dressed in white, sitting calmly on a tiny studio chair; with an innocent face, eyes full of curiosity and a faint smile – that’s what the world sees now. But it isn’t the whole story. As she grew up, she was told a secret by her parents – that right before the moment that this picture was clicked, she had fallen. And she had tears in her eyes. Afraid of what had happened. Lying on the ground. Not knowing how to pick herself up. She was one year old after all. And there were many lessons that were yet to be learned. But she was surrounded by people that she loved. 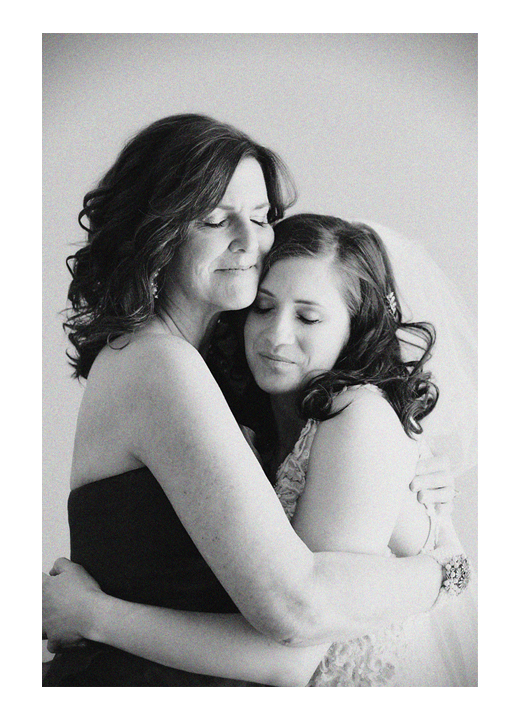 She was picked up by her mother and made to try one more time. To give it one more shot. And that’s when she succeeded at it – smiling again, ready to strike a pose, observing everything that was around her. She was a girl who needed very little to be happy – a glass of Cola, her mom’s gentle embrace, her dad’s piggyback rides and watching WWE with her brother. She was protected, just like a little princess. Years passed by, and as she grew older, life became harder. She made a lot of friends but was able to keep very few. She had to travel all over the world and call a new place home every now and then. She had to learn how to speak in different languages and make change her best friend. Change – that was the biggest challenge. It was like having to be a new person. It meant having to let go of things – sometimes completely and sometimes in parts. So, she learned how to say “goodbye” more than how to say “hello”. With every adventure, she grew stronger. She was able to wipe away the tears by herself. Able to conquer the fear of failure. Able to fight to get back up every time she fell. With time, everything around her became a little more different. The world became a little more complex. And she wasn’t protected as much anymore, because she stayed oceans away from the ones who had picked her up for the very first time. But, there’s one thing that she could never forget – that one secret that she was told by her parents. It reminded her of how important it was to never give up. To always have hope in her heart. To believe in herself and also in the universe, even though it worked in the strangest ways. And that’s what made her come so far. It’s what made her bold enough to make her own decisions. To make mistakes. To learn from them. To know how to do the right thing. To dare to challenge the impossible. They were still the true source of joy for her, those little things – the Cola, the embrace and watching shows. The only thing that changed, was how valuable they had become. She realized how important being loved was. How fortunate she was to have something that great. She was now wiser, that little girl dressed in white. And she continued to wear it with pride – that faint smile. She knew that she had come far from where she had started her journey. But she also knew that another adventure awaited her and that a new story had just begun. Of course, life would knock her down again. But this time, she would be ready. Tall, happy and bright yellow – that’s exactly how I would describe it. We shared a special bond, since we had grown up together. I still remember the day we had first met. It was in September-my favorite month. Favorite because it meant that my birthday was near. I was sitting on the big red sofa in our living room and waiting for the doorbell to ring. And as soon as the clock struck 12, it did. I ran as fast as I could and swung the door open. Before me stood a tall medium sized package, wrapped beautifully in shiny green. And right next to it was my father. “Happy Birthday Son!” – he had said. I hugged him and quickly started to unwrap the mysterious present. And as I did, I started to think- Could it be the giant toy tractor that I had asked for when we went to the mall? Was it the cool new videogame that I had heard about in school?Or maybe it was a box full of my favorite candy! After a few minutes, I found out what it was – a mini oak tree. Not the tractor, Not the videogame and not the box full of candy. A tree – that’s all it was. Now I knew that I should have been happy, but honestly, I wasn’t. Not because I hadn’t gotten what I wanted, but simply because I didn’t really know what to do with it. I stood there staring at it- trying to solve the mystery. “Hey champ!”, said my father. “I know this isn’t really what you were hoping for. And you probably don’t know why I got you this yet. But let me tell you, this is your new best friend. And he’s going to stay with you forever and teach you all about life, even when I’m not around. “Of course son.” he said with a smile. That was it. My first encounter with my dear companion and my last conversation with my dad. And ever since, the tiny oak tree became one of my most precious possessions. I watched it grow each day. Some days it would have to face the harsh winter wind. Some days it stood under the scorching sun. Not once did it complain. Nor did its bright yellow leaves fade. It simply continued to stand tall. Sheltering those that stood beneath it. Becoming an abode for birds and insects. Adding beauty to the world. And that’s what made it truly special. Even today, it continues to be my best friend. Every time I look at it, it gives me new found hope. A reason to keep my head high even when life seems to be looking down. A reason to continue to give to others without expecting anything in return. The strength to keep moving on and to face each new challenge that comes my way. And every time I look at the tiny tree, I know that he’s watching me from somewhere, somewhere up in the sky. So I simply look up and smile at the big ocean of blue that hovers above me. Thanking him for showing up at 12 that night. For ringing that doorbell. For wrapping that tall box. For teaching me how to live, without letting go. It was Josh’s birthday, and he had turned 16 years old. Everyone said he was a “young man” now, ready to take on the world. And he guessed they were right, since he now had his own driving license and his own room. They said that they believed in him and knew that he would make his dreams come true. That he would grow up to be a “happy man”. He hoped that they were right. He sat on his bed and started to think about things. Things that made him happy. Things that mattered the most. “What’s wrong son?” his dad asked him as he entered the room. “Dad, I’m afraid.” he said. “Hold on son, I’ll be right back.” he said. Minutes later, he returned to the room with something in his hand. “Look at this son”, he said. Josh looked up and saw a small lock, lying on the palm of his father’s hand. “What’s this for Dad”, he asked, puzzled. His dad closed the lock and gave it to him. “Open it son”, he said. “But Dad, where is the key?” he asked. Josh looked up in surprise. His Dad continued to explain. “Life is a journey of ups and downs son. And while you’re travelling, you will come across many types of people. Who you meet is a matter of chance, and there isn’t much you can do about it. But, you get to choose whether they will stay or not. 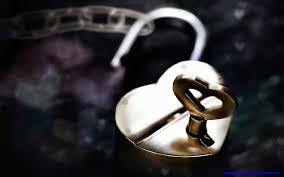 You see, your heart is surrounded by a giant lock, which protects all your feelings. And nothing can change them, unless you decide to give someone the key. If you decide not to give it to anyone, you will end up feeling lonely. If you decide to give it to everyone, you will end up feeling threatened. But if you decide wisely, and give the key only to those that matter to you, you will always be happy. Josh looked at him with awe. He had finally discovered how to be happy. He was no longer afraid. “And I know that you will grow up to be a happy man my son”, his Dad replied with a smile on his face. Being happy doesn’t just happen by chance. It’s actually a matter of choice. A decision to wait. To wait for somebody who is right. Somebody who cares enough to open the lock. Somebody whom we can trust. Somebody to whom we can give the key. The key that allows them to make a difference. To become a reason which adds to that amazing feeling. The amazing feeling called happiness. “Good morning!” – Luis would wish him every time he saw him water the plants. And in return, he would always get a bright smile from Uncle Joe. Uncle Joe looked after the garden behind their house. He was old and had a long white beard. Every day, he would wake up very early in the morning and leave for work, because he lived in a village far away from town. He didn’t have much money, so he would walk the entire way. “Hello Brother” – This was a warm greeting extended by Mark to Luis every time he passed by. Mark was a 5 year old, who lived on the street. His mother was a maid and his father sold vegetables. He loved reading, but could never buy all the new books that he saw. “Woof!” – As soon as Luis would pass by, Kipper would run up to him and lick his hand. Kipper was an adorable beagle with big eyes. But he looked frailer and weaker as days went by. He didn’t really have a home. Nor did he have much to eat. He lived under a thatch of wood lying next to a trashcan. Luis loved all of them. Watching them suffer made him sad. He wanted to make a difference, but he knew that he couldn’t do much since he was still small. So, he decided to write a letter. Thank you for watching over us and taking care of us every day. I know that you have the power to make all our wishes come true. So here I am, sending you my wish list. For Uncle Joe – Uncle Joe is our gardener. He works very hard each day, without complaining. He always answers all my questions and teaches me about the beauty of nature. He always has a smile on his face. But sometimes, I see him holding his knees because they hurt. They hurt because he has to walk a lot to get to town. Wish: I wish he had a cycle, so he didn’t have to wake up so early. For Mark – Mark is like my younger brother. And he really wants to read the new book which has just been launched by his favorite author. But he doesn’t have enough money to buy it. Wish: I wish he can get it somehow. For Kipper – Kipper is an amazing beagle who always greets me with a warm hug. I love playing with him. He does too. But everyone says that he is getting weaker. Wish – I wish he could have a pretty doghouse and lots of food to eat. 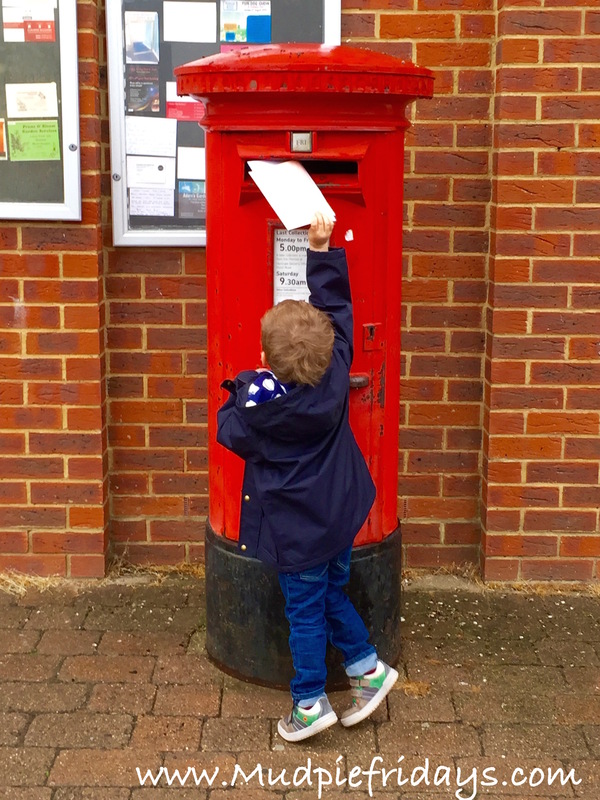 He sealed the envelope with the letter inside and put it in the postbox. And what happened the next day was magical. When he woke up and went outside, he heard the sound of a bell. It was Uncle Joe, riding his new cycle along the street. Then, he saw Mark sitting under a lamp post with a copy of his new book. Finally, Kipper came to him. He looked much healthier. He grabbed Luis’s hand and took him to show his new home. It was “pretty”, just as Luis had mentioned in his letter. He folded his hands and looked up at the sky. “Thank you God.” he said with a smile. His dad watched him from behind a tree. In his hand were all the receipts of the bills he had just paid for – the new cycle, the new book, and the new doghouse and food. He too folded his hands and prayed. And with this, Luis’s wishes did come true. His faith grew stronger. And he had discovered where God lived. They were right. He did stay at a place called “Everywhere”. And he hoped that that’s where he would always be. It had been 10 years since they had decided to be friends. They had been there for each other, right from the day they had met up till now. But now was when things were about to change. It was finally time to bid farewell. As they sat in the meadow for one last time, they reminisced their first meeting. Samaira had just moved into the house right next to Rihaan’s. She was a beautiful 6 year old with almond shaped eyes and golden colored hair. She loved going on adventurous little trips all by herself. And on her first day in the new neighborhood, she had done just that. As she rode her bicycle down the street, every passer by gazed in awe. She looked absolutely adorable in her white colored dress. The day seemed great, and she felt that she was very close to making her discovery. All of a sudden, her ride came to a stop. She fell off her bicycle and landed on the ground. As she struggled to stand up again, she heard a voice. “Hold my hand”, he said. She looked up and saw a young little boy dressed in a black t-shirt and blue jeans. He had an infectious smile and dimples that complemented it perfectly. She held his hand and stood up. “Thank you.” She said with a smile on her face. “I’m Rihaan. What’s your name?” he asked her. “You are very pretty!” he exclaimed as he smiled back at her. He took her hand in his and they walked back together. And since that day, he had never let go of it. But now, Rihaan was moving to a new place with his family, which meant saying good bye. This was going to be tough. “I wish we could always be together.” said Samaira. 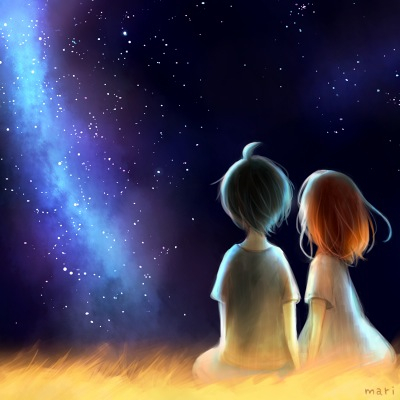 “Thousands of stars”, she replied, confused. “Now, go ahead and choose one. And I’ll do the same” he said. Samaira pointed towards the sky, still clueless. She held his hand and smiled at him. And he smiled right back at her. The same way they had years ago. And a few years later, he asked for her hand again. But this time, he never intended to let go. There was no more “goodbye”. Only a new life awaited them. With a new “hello”. He was a lucky boy. His dad had lots of big shiny cars. His mom was really famous because she acted in some of those really cool movies that everyone loved watching. New toys, video games, expensive phones and fancy clothes – he had it all. He always got what he wanted, without having to ask twice. But there was just one thing which he knew he couldn’t ever get – Someone to talk to. His parents were always working, and he never really saw them around. He wasn’t allowed to make friends at school, because he was told that the other kids were just not good enough. He had always been alone, and he hated it. Every day, he walked along the same road to go to school. He didn’t have to, but he chose to because that was the only time that he got to see the real world. He turned around and saw a little girl looking towards him. She had an innocent face and beautiful eyes. However, she wore a torn dress. She was poor. “You seem to be scared”, she repeated. The little girl began to laugh. “I love it when it rains. Do you know why?” asked the little girl. “But what about the rain?” asked the boy. 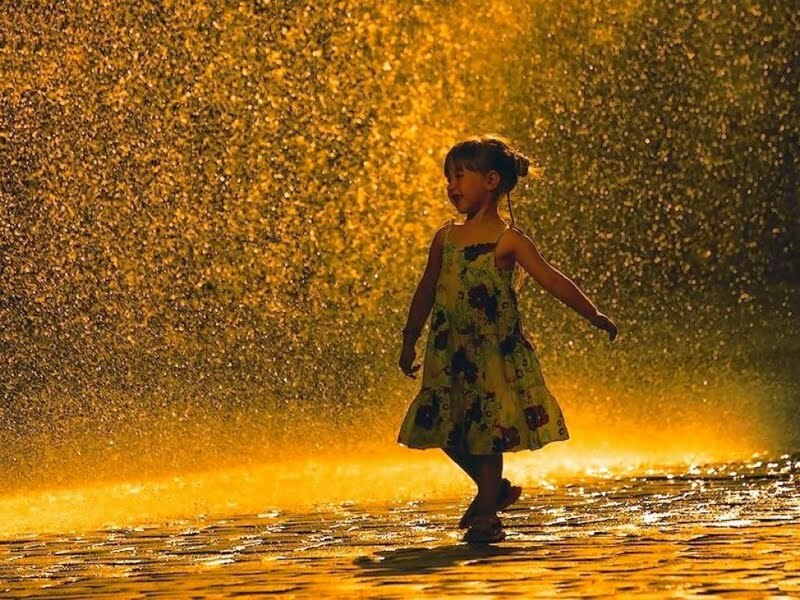 “Well, whenever He is happy, he showers his blessings on us in the form of rain. That’s why everything looks brighter and more beautiful once the storm is over, she replied. The boy was amazed. He had never thought of that before. With this, the thunderstorm ended, and the sun came out again. His fear had gone away. Everything was back to how it was. But there was just one little difference– he had found someone to talk to. It didn’t matter if she didn’t have pretty dresses to wear or lots of toys to play with. It didn’t matter if her parents didn’t have a lot of big shiny cars or whether they were famous. She was the one who had made his wish come true. She had helped him smile through the rain. And when she had asked him if he was okay, she really meant it. He had found what he was looking for under that tree. She was a ray of hope, a pillar of strength, and an ocean of kindness. He had the whole world at his feet, but she had a heart of gold. It had been a rough day. Crazy deadlines, too much traffic, scorching heat, no message from him and no call from her friends. She felt awful. She was losing herself – somewhere among the turning hands of the clock and the battles between her heart and her mind. Everything seemed to be out of place. She was beginning to doubt her decisions. Was all that she was doing worth it anymore? Was she moving in the right direction? Would she ever reach where she wanted to? She tried sleeping it off. She listened to her favorite songs on repeat. She even bought herself a doughnut and coffee. But nothing worked. Nothing made her feel better. She sat on a chair and looked at the window. Just then, her mom entered the room. That was it. All she needed. She smiled and gave her a big hug. Suddenly, the world seemed to be a better place, where the tick tock of time and both her mind as well as her heart were at peace. It worked like magic. It gave her power. The power to believe in herself. The power to face tomorrow. Don’t hold back. Express your love. Because a hug can do wonders. It is a gift from the one above. Just a few more days and then, he would be gone for a long time. His idol, his mentor and his best friend – his elder brother. He had just finished school and was now going to college, someplace faraway. That would mean less of the fun outings to mall, the important conversations about life, and no more movie nights. The thought of it all ending so suddenly made him sad. However, he had heard his parents saying that they felt really proud and his brother would be a successful young man soon. That had made him feel much better. As the days passed by, he kept thinking hard about what he should gift his elder brother. Something that he would want to keep forever. Something that would help him when he had to deal with the “things that happen in life”. After a while the idea struck him, and he got to work. It was the night before his brother was going to leave. The little boy decided to go and reveal his surprise. He picked up his present and ran towards the room where everyone was. I know that dad is going to gift you a new car, and mom is going to buy you a new phone. But since I am still little, I can’t get you stuff like that. I know that you are going to face the big bad world now. Although I cannot go out there with you, I know that these things will always help you to face it all. Here’s why I think so. Diary – Pirates used a treasure chest to keep priceless stuff. Think of this as yours – one that you can store all your memories in. Pen – Whenever important stuff happens in life, and you want to remember it forever, make sure you write it down with this pen.You can tell me all about it later. Pencil – I know we all make mistakes. Big ones sometimes. Nobody’s perfect. So every time you’re not sure of something, make sure you use this – because you can always erase it. And nobody will get to know. Candle- If you ever feel afraid of the dark, you can light this up to make things all bright again. The bad feeling goes away. It works, I swear! Pillow- When you study really hard and get tired, and you miss us being around – Hold on to this and sleep, and you will definitely feel much better the next day. I really wish you could stay a little longer. And I am really sad. But I can always call you. And we can talk like we do. I will miss you very much. And I know you will miss me too. That’s the kind of promise we should all make to our brothers and sisters. And we should always remember to keep them. Because distance never matters when you care for someone. 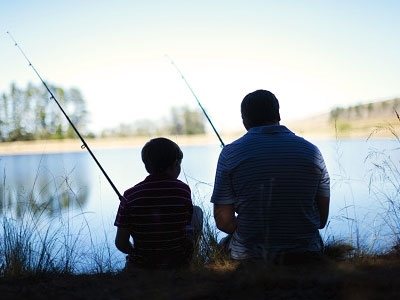 Just like every single morning, he woke up early and went for fishing with his dad. After walking for a few miles, they finally reached the riverside and sat at their favorite spot. It was a beautiful sight – crystal clear water flowing effortlessly and carrying along with it little creatures of all colors ; golden , black and white. This was the time when both father and son chatted about everything they wanted to. “That’s a great question son.”, he replied. ” Its easy. Do you see those fish swimming happily in the water?, he asked. ” Now pick up a stone and throw it inside.”. The boy did as he was told. Immediately, the fish moved away and scattered in different directions. The next day, he did the same, but nothing changed. He kept repeating this for the next few days, his mind puzzled. After a week, something unusual happened. As soon as he threw the stone into the river, the fish didn’t move away. Instead, they remained still till it sank to the bottom. “They aren’t afraid anymore!”, exclaimed the boy. The boy smiled. He finally knew what he had to do. Life is full of obstacles. Don’t let them stop you. Let go of fear. Accept the challenge. Decide to face it . Decide to win.